Entre Líneas is the most recent production of Aviónica, the Bolivian band that, in its route, has captured the attention of many, for its perfectly conjugated sound that combines in its music some electronic songs with the characteristic sound of Rock en español. For Entre Líneas, Aviónica invited important musicians in the industry, such as Elsten Torres, who’s written for great artists like Ricky Martin, Luis Fonsi and Julio Iglesias; Juan Pablo Daza, the guitarist of Juanes; And Alex Garcia, guitarist for Chayanne and Ricky Martin. With musicians from Latin America and North America, this Aviónica EP has awakened the full interest of their faithful followers. Their single 'Tormenta', featuring Valeria Pérez, has already been played in several radio stations around Latin America. The performance of the live version of Entre Líneas required instruments such as KORG and M-AUDIO synthesizers, a Stratocaster guitar, a Fender Jazzbass Precision bass, Zidjian plates on the drums, a Nord Electro 5d keyboard and an electroacoustic guitar, to generate that contrast between the electric and the rocker and woody sound that characterizes this production. Andrés Saavedra, winner of three Grammys, was the producer of this EP, and was also in charge of making the secondary voices and playing the vocoder, one of the reasons why the sound of Entre Líneas feels so particular. 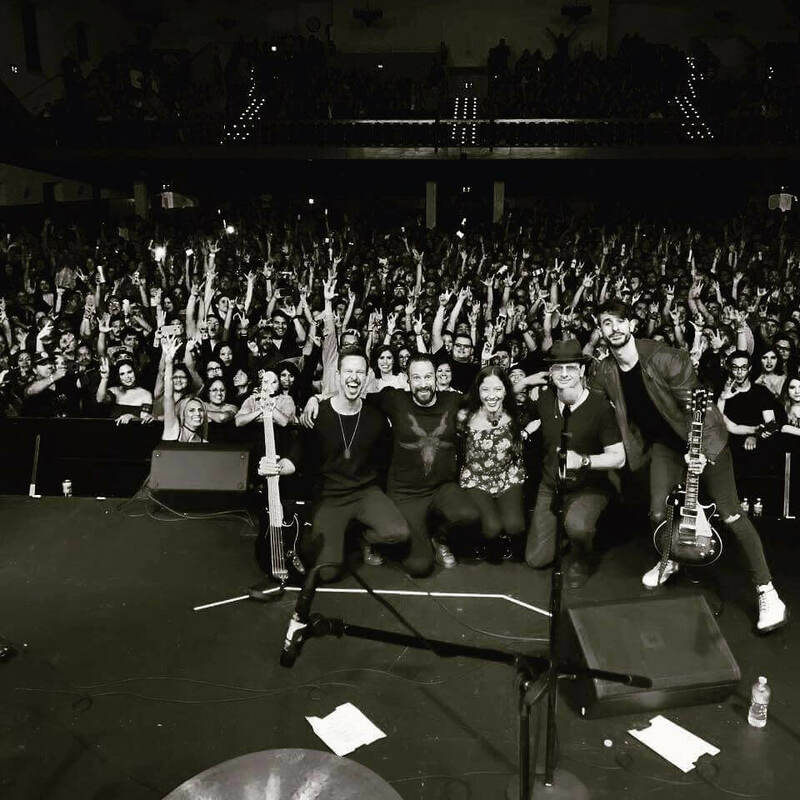 Aviónica recorded their first production, California, in 2013, in Hollywood. As their producer they had Sebastian Krys, who made the material alongside the band in one of the most important studies in history: Ocean Way. This album released them nationally in Bolivia, Colombia, Mexico and, by the place where it was recorded, part of the United States. The sound of Avionics in Entre Líneas is similar to the one of relevant bands in the medium such as Babasónicos, Zoé, La Ley and, because José Mrochek takes them as a fundamental reference in his career, they also contain a considerable influence of Soda Stereo. If you don’t know them yet, you can find out more about Aviónica on their YouTube channel and official website.